It's the intermission of the intermission! 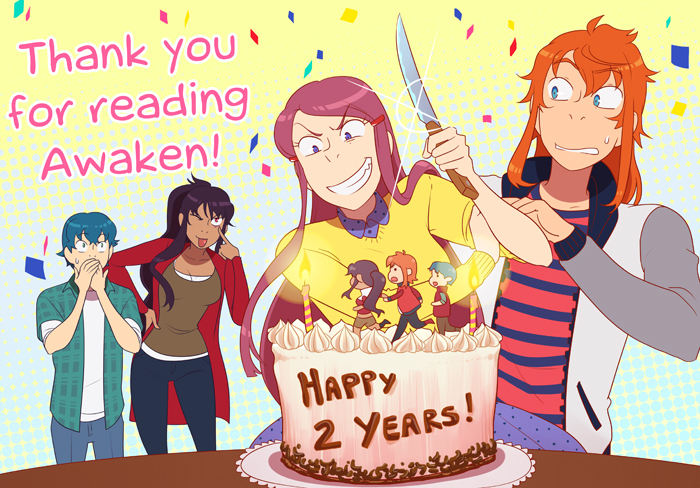 Thank you very much for reading this webcomic and participating for 2 years of this adventure! You make every update an amazing experience for me, so I hope I can do the same for you, for many years to come!! Friday will have the last bit of intermission, and on Monday we start chapter 4 ;D! !